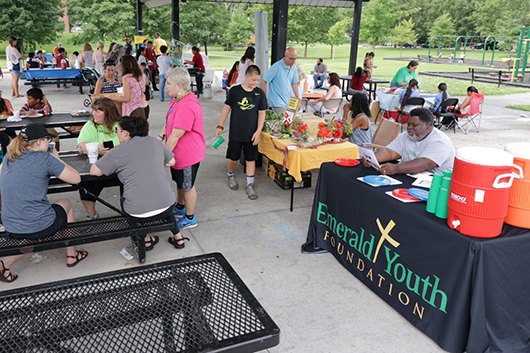 A neighborhood fun day was held for Lonsdale residents at Sam E. Hill Park, and Emerald Youth Foundation representatives were available to hear from community members about the proposal. Emerald Youth representatives attended the Lonsdale International Food and Crafts Market at Lonsdale Park to provide information about the proposal and listen to residents’ feedback. At the conclusion of Vacation Bible School hosted annually by Lonsdale churches, Emerald Youth’s Kevin DuBose spoke to community members and sought their feedback. Bridge Refugee Services celebrated World Refugee Day, and Emerald Youth representatives participated in Bridge’s annual event to share about what Emerald offers refugees who have resettled in Knoxville, including many who live in Lonsdale. In a 7-1 vote, the Board of Education approved a resolution to surplus property next to Sam E. Hill Family Community Center to Knox County.